Master of modern occultism, Lon Milo DuQuette, (author of Enochian Vision Magick and The Magick of Aleister Crowley) introduces the newest Weiser Books Collection The Magical Antiquarian Curiosity Shoppe. Culled from material long unavailable to the general public, DuQuette curates this essential new digital library with the eye of a scholar and the insight of an initiate. What if all the great religious, philosophical, social, and economic movements were part of a master plan facilitated by secret chiefs for the benefit of evolution toward godhead? 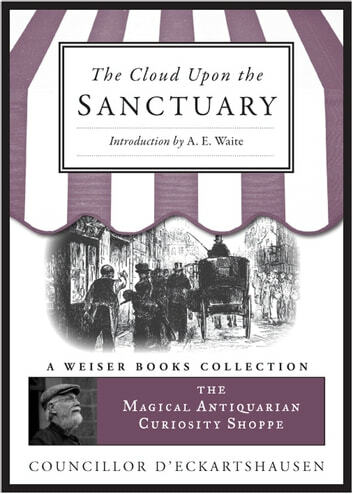 The Cloud Upon the Sanctuary by Karl von Eckartshausen is the document that introduced this concept to the 19th century occult communities. It is the work that inspired Aleister Crowley to pursue the Golden Dawn and magick. This was a great simple and quick read which renewed my faith and inspires me to love. Do love yourself and your neighbor as yourself. There is nothing so simple, now to set it unto practice.